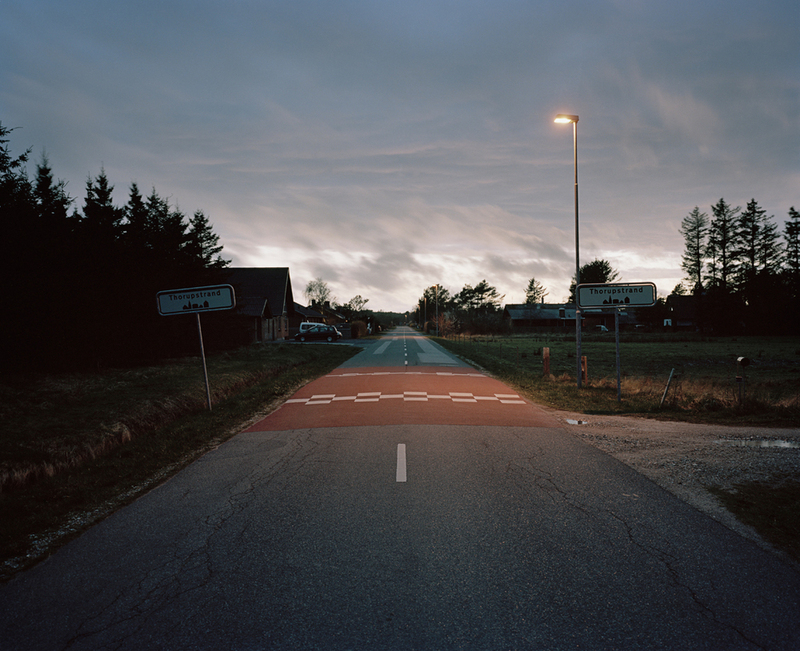 Thorupstrand is a small town in northern Jutland, Denmark. It is a special town. It is known as one of the last traditional fishing communities in Denmark that formed a collective; standing up against industrialized fishing cooperatives who wanted to drive them out of the market. Scroll down - to read the full article. The wind smells salty and blows from north to west picking up grains of sand. Good for going out on the sea. It is 4:30 in the morning and the sky is pitch-black, though the beach is illuminated by three enormous lights. The rumbling sound of a giant engine is overruling the small waves breaking on the shore. In a frenzy, workers are securing ropes on the small wooden white and blue ships and screaming to each other through the noise. The sound comes from the white faded tanned old building. On it’s side there is a massive exhaust which produces big dark oily clouds. Two giant steel cables running through the wall of the building all the way into the sea forming a huge circle. A worker hooks one of the cable coming out of the water on the rear anchorage end of HM-93. The ladder is pulled up, the steel cable straightens and with a scratching sound the boat is smoothly like a snake pulled over the sand into the dark morning sea. The signal mast was first raised in 1921 after a three-master drove onto the beach. 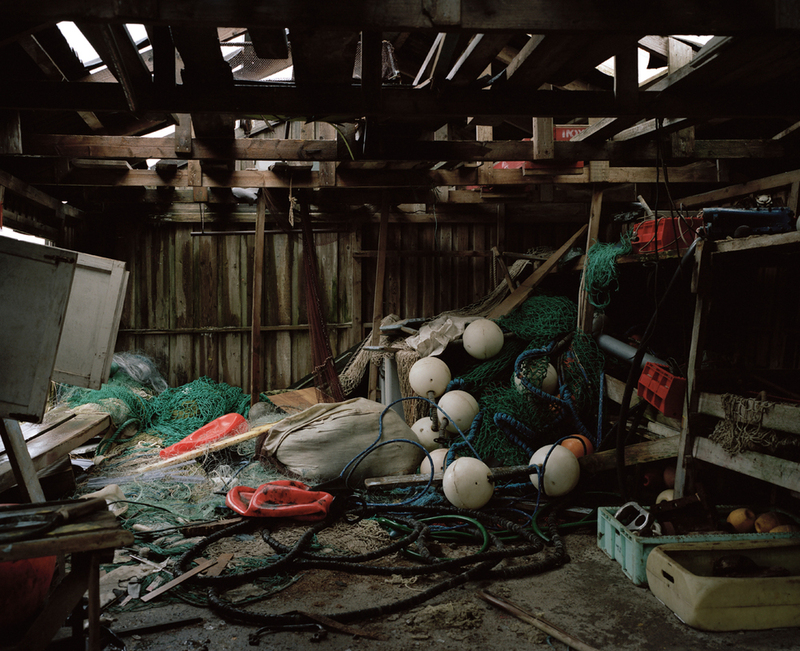 After being purchased by the fishery, it was then taken down due to weather influences. The mast was finally brought back because of it’s maritim history. 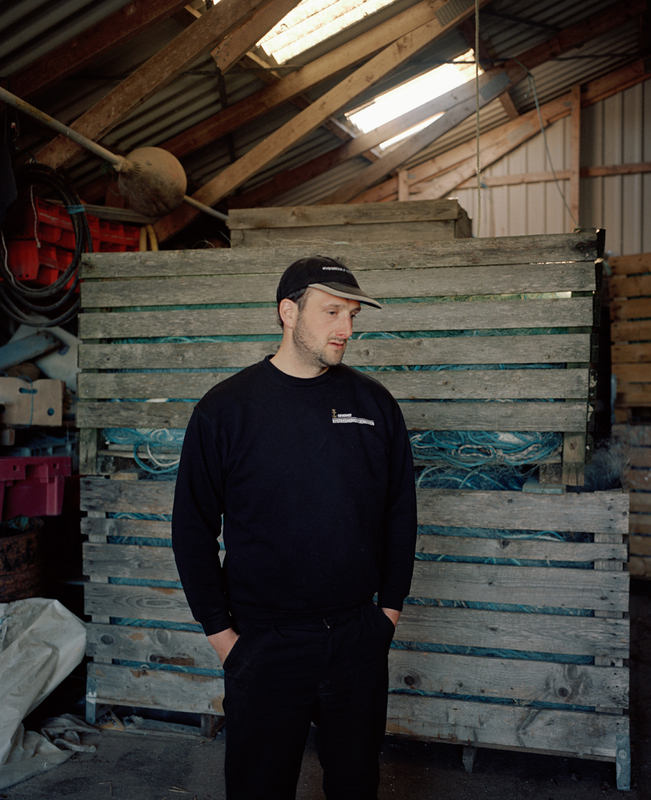 In 2006 after the limitation of fishing-quotas, big and rich companies reached out to the small fishermen in Thorupstrand, to offer them a lot of money for their boats just to get their hands on the valuable fishing quotas and by doing that, outsell these small costal communities from the market. With no quotas they were not allowed to fish and the fishing industry concentrated on fewer, more efficient vessels. To stop that 20 families in Thorupstrand went together, to compete against the monopolization in commercial fishing and it’s privatization. Almost all families, including the biggest three: Olsen, Kristensen and Nielsen, in Thorupstrand formed a common quota company, including boat owners and crew, that is able to stand against the big corporations and equally share their income. They stood together and borrowed over 20 million kroner to buy back all their lost quotas and »as many quotas as they could«. Now they use these quotas in a common pool to fish. 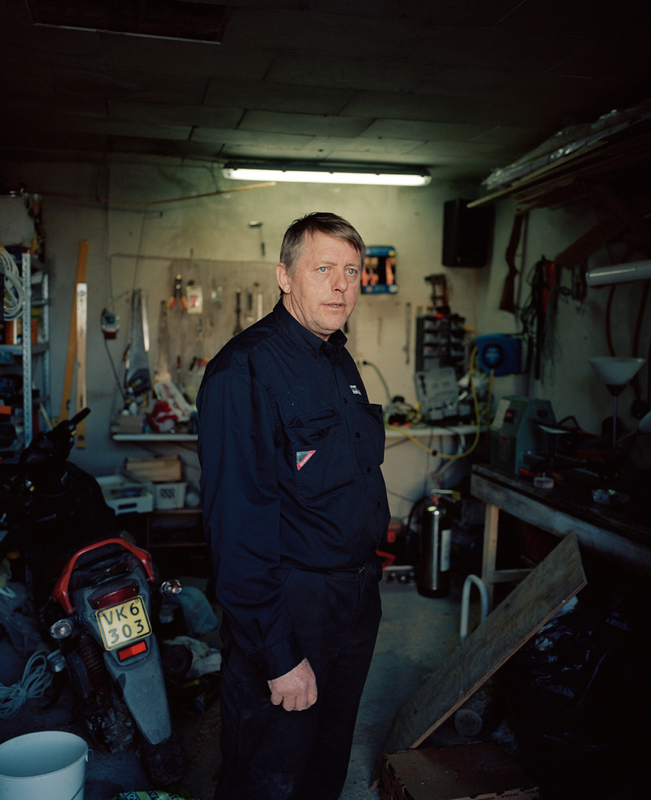 »Now if someone leaves Thorupstrand, the group owns the quotas« says Julio van der Zwart, called »Tulpi« since he is from the Netherlands. He is a 29 years old guy who works in the packinghouse located at the beach. Most of the Kristensen’s and Nielsen’s are in the communities group, but most of the Olsen’s are not. They have their own quotas. Because of the low and long beach there are no harbors in the whole area of the Jammerbugten. That means that the fishermen of that area invented a system to pull their fishing boats onto the beach every evening when they come home from a whole day of fishing. Thorupstrand is one of the two last places who still uses this old and dying system. 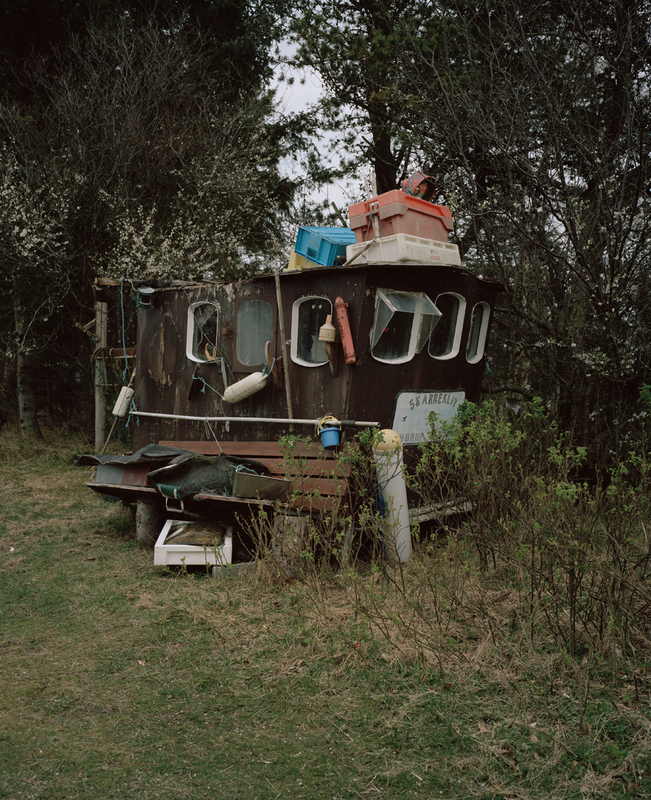 »Like the neighbor of my father-in-law, he owns HM-84 and his son also owns a boat.« said Julio »He works by himself but he owns a lot of quotas, probably the most in Thorupstrand«. When someone like him leaves the community »it would be a big problem because our money depends on that how much fish we sell« tells Julio. 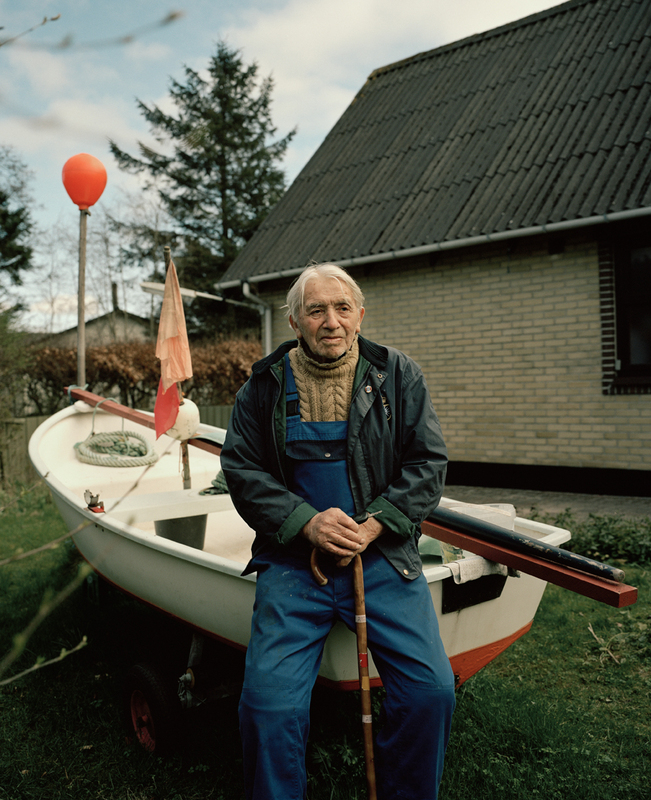 Also »every boat has to pay 6% of their income to the group, to the people working at the beach and helping us pulling the boats out of the water« says Jan Olsen, a 35 year old fisherman who owns his own boat HM-93 with his brother Johnny and is now fishing for over 17 years. If a boat would leave, the group would not have enough money to pay their salary. Normally if a new fisherman came to Thorupstrand he would not able to go out and fish because he would need quotas to fish. To buy these quotas costs millions of kroner but now with the group, a new person only needs around 100.000 danish Kroner and with that he would be able to fish all he wants inside the quotas. He would rent them instead of owning them. »This is much better way to attract new people into the Community« Julio says. What is a fishing quota? After the legal forced privatization of fishing in 2006, total allowable catches were introduced. It depended all on what the community of Thorupstrand had cached in 2005. All that fish counted as their highest possible quota. When the community and also the big companies once reaches their catch quota they are forbidden to catch anymore fish and with that earn anymore money. Quotas can typically be bought, sold and leased. 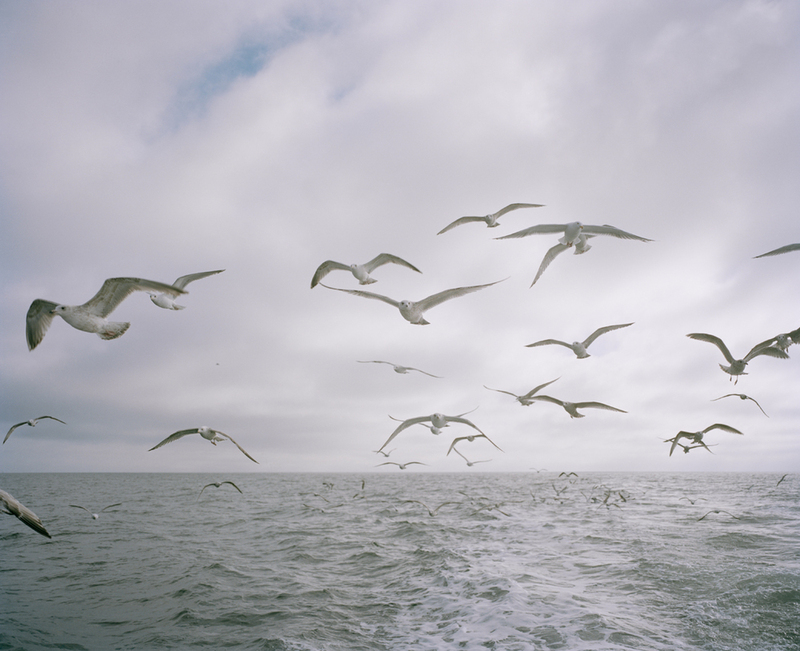 with their little boats catching fish – provided the wind is not to heavy. The design that allows the boats to be pulled onto the beach makes them easily affected by bigger waves. Sometimes they come back with a good catch, sometimes they come back with nothing. If the boats come back with a good catch the people cleaning, sorting and packing the fish often work until the early mornings. They always try to work efficiently because they get paid per case of fish, not per hour. Jan Olsen’s nickname is »little Brutalis« due to his weightloss after a gastric bypass surgery. Since 2008 he co-owns a boat, called HM-93, toghether with his brother. »If they worked as much as they do somewhere else – they would be so rich« says Louise Kristensen. She is the daughter of Evald Kristensen who went to the sea for almost his whole life. He works now at the packinghouse, sorting fish and preparing them to be picked up by a truck in the early mornings. The prices of fish are constantly dropping, which is a dilemma for the fishermen considering they only earn money if they actually sell it to an fish auction house in Hanstholm. »The prices are very low. A flatfish is now around five Kroner but six years ago we got 14 Kroner for it, which is a big difference.« Jan says. Also it depends of which fish is actually caught. In wintertimes the cod comes closer to the beach, so they are able to catch it but when it gets warmer the cod goes to colder places like Greenland and the Flatfish comes closer to the beach. Soon the fishermen will catch up to 50 cases of flatfish a day. Then when the storing tanks are completely full the fish will be all over the boat. »If you don’t take it, you loose money!« adds Julio while standing in the cooled packinghouse and filling the green cases with ice dropping out of the new ice-machine. The Danish government wants to keep the tradition alive and is willing to keep it. Also they want to support the healthy and environment friendly way of fishing. Instead of big trawlers who creeps everything from the floor of the ocean and with that threaten marine life-saving coral reefs and other natural seabed resources, the fishermen in Thorupstrand use special nets that only float in the sea and endanger nothing else than the fish they want to catch. The wheelinghouse is where all the fishermen come together to discuss the changes in fish prices and drink 30.000 cups of coffee a year. When the weather is bad they have to stay awake all night to watch out that the boats don’t get pulled into the wild sea. They helped the fishing community with a brand new packinghouse that costs over 23 Million kroner. This amount of money was financed half from a private fond, half from the EU. This environmentally friendly warehouse is equipped with solar panels on the south-facing roof powering the ice and cooling machines. While using the new hydraulic arm to lift the heavy green cases filled with plaice Julio notes: »They needed three months to build it and we have worked here for one«. It should not also help them to pack the fish faster and with less effort, it also provides special fillet-station where the caught fish will be directly processed. This could provide the community with a better income due to the auction house as an intermediary would be skipped and the fish would directly go from Thorup- strand as a distributer to various restaurants around Denmark and hopefully further. That would save them a lot of money. As a additional plan they launched the »Red Thorupstrand« Facebook-page for donations that goes hand in hand with a boat in Copenhagen which functions as a restaurant, of course with the freshly cached fish from the northern Coast. 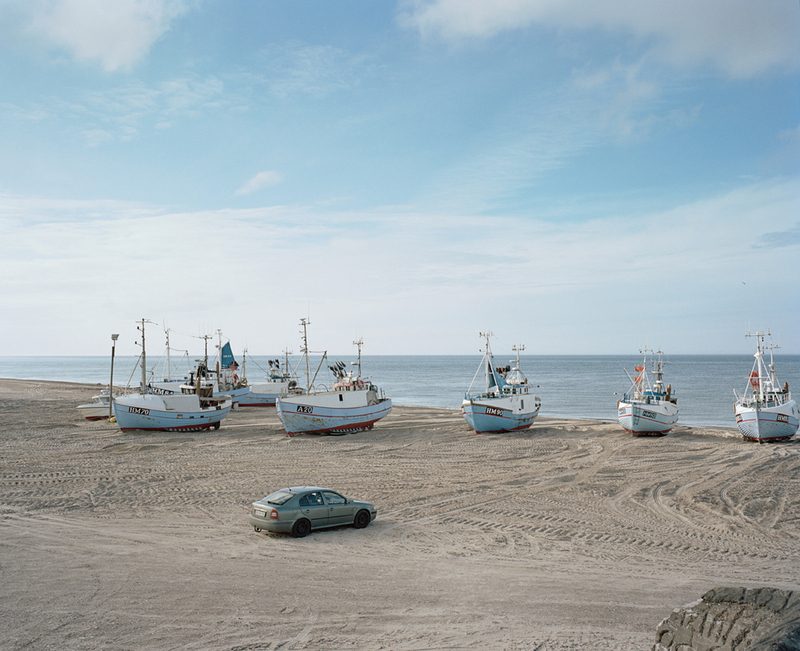 The future is starting to look like that it will work out in Thorupstrand but the people there depend on the government that the fish someday could be sold for more money than in the current situation. When the crisis was at it’s greatest point, many of the young boys were discouraged of being a fisherman but »the town would die if everyone would jump off« states Julio. That was the case on many other fishing towns in Denmark. However Thorupstrand is a little town. But with it’s unity of fishermen that came together in a group, it suddenly became big. With this group they are able to preserve their quotas for a future generation of fishermen and help them in their beginning. 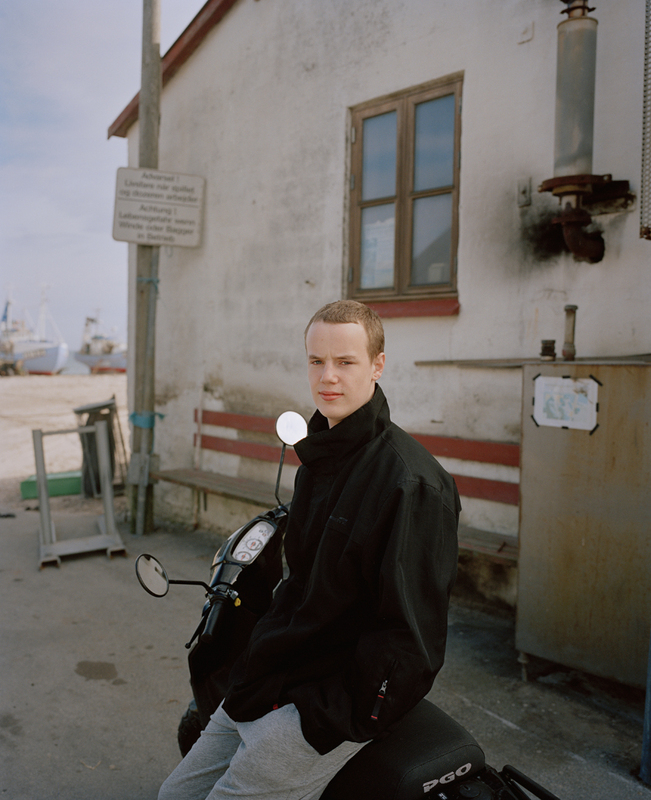 Tinne Christensen is 20 years old and came back to Thorupstrand after three years of education in Aalborg. Now she is cleaning fish whenever there is some. Also she wants to teach her future children to do the same. She feels lucky for growing up in this community where everyone knows each other. »It’s my life, it’s always been that and I like what I am doing so fishing is what I want to do for the rest of my life« says Rasmus Olsen who is 18 years old and captain of his own boat, while he ties some knots on a fishing net. 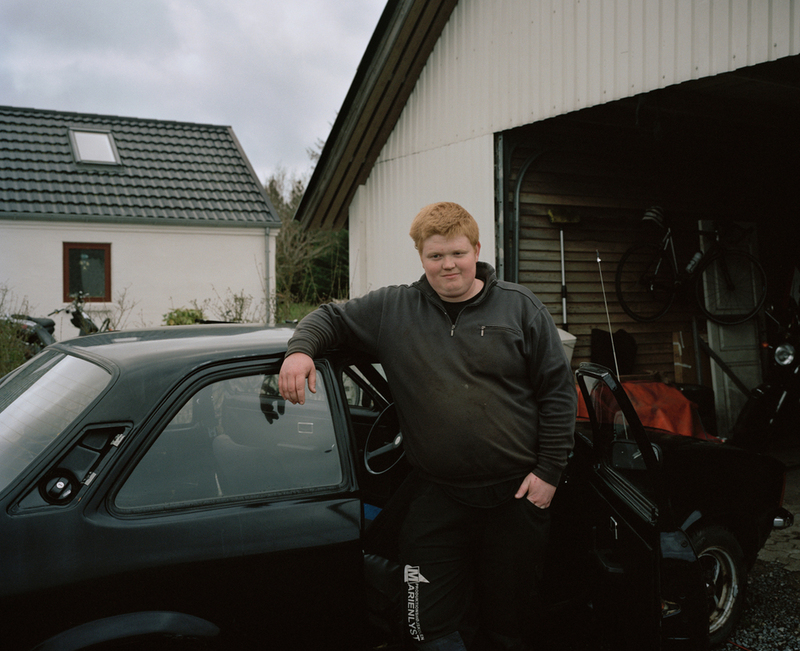 He benefits from a strong community as well as the young teenager in Thorupstrand who just earn some money on the side by cleaning fish in the afternoon and depend on a good catch.